For studies on GMO food safety, does length matter? 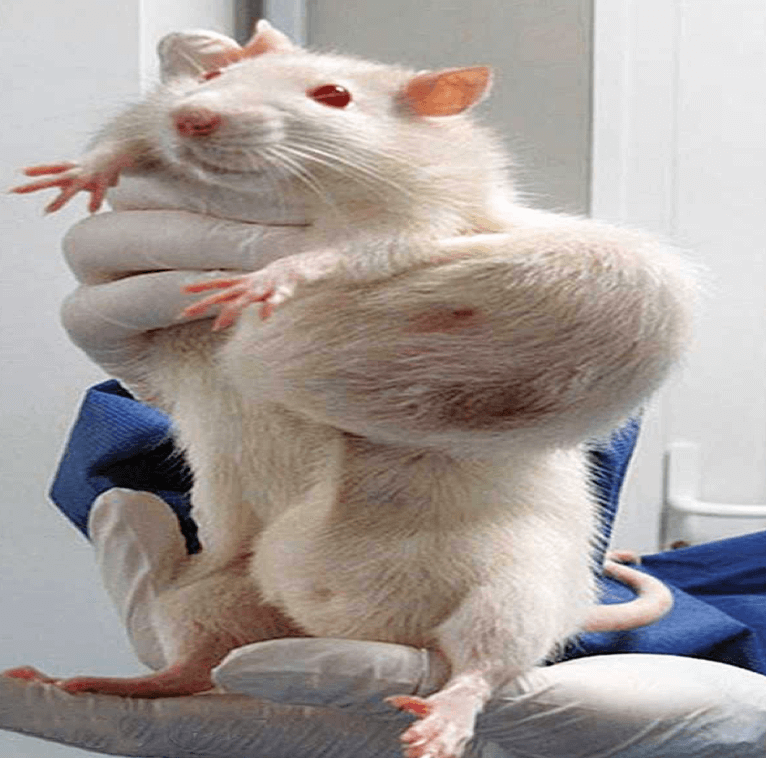 Anti-GMO activists have long demanded that scientist extend the duration of animal studies to evaluate the risks of genetically modified food and feed. 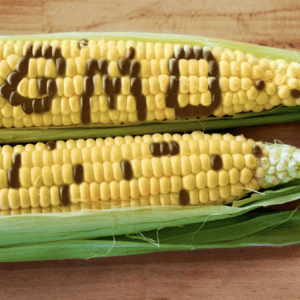 In 2013, writer Tom Philpott began hyping the now-discredited Gilles-Éric Séralini study on GM corn and rats in Mother Earth News, he framed the study as the “longest-running GMO study” (at two years)–which was not accurate. Later that year, Australian researcher and anti-GMO advocate Judy Carman released a study on pigs, this one clocking in at 154 days, and claimed that the longer-term study found differences in inflammation among pigs fed GM feed. The actual data from both of these, and other, studies, does not actually support the claims of harm made by the authors. But that hasn’t stopped activists from demanding animal feeding studies of increasingly longer durations, even up to 30 years. So how long is long enough? The industry standard for any safety analysis of a consumer product is 90 days. Would longer studies show anything that the industry standard wouldn’t? Are animal studies even necessary? Organic activists used to predict that negative health impacts from consuming GMOs would be rather immediate, within a year or two, 10 years tops. But as more major crops were genetically modified and the overwhelming majority of farmers adopted them, and as the years drifted by, organic activists found themselves at a loss for an explanation. We began to hear demands for long-term, multigenerational studies from within organic circles. Animal studies are weak, lack power and have no hypothesis. If you study 500 parameters you’ll find something different between test and control groups. The longer you study, the more likely you will see differences between them. If you just look at a lot of data, and try to correlate with something, you’re more likely to make a false correlation than a true one. The few studies by anti-GMO activists cite significant differences but not actual harm. Assessment of the health impact of GM plant diets in long-term and multigenerational animal feeding trials: A literature review: We examined 12 long-term studies (of more than 90 days, up to 2 years in duration) and 12 multigenerational studies (from 2 to 5 generations). … The studies reviewed present evidence to show that GM plants are nutritionally equivalent to their non-GM counterparts and can be safely used in food and feed. 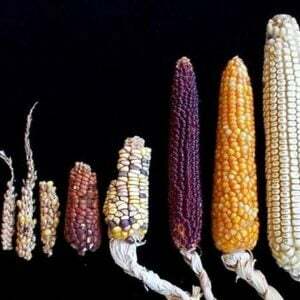 A three generation study with genetically modified Bt corn in rats: Biochemical and histopathological investigation: This study was designed to evaluate the effects of transgenic corn on the rats that were fed through three generations with either GM corn or its conventional counterpart. Tissue samples of stomach, duodenum, liver and kidney were obtained for histopathological examinations. … No statistically significant differences were found in relative organ weights of rats within groups but there were some minimal histopathological changes in liver and kidney. Effects of long-term feeding of genetically modified corn (event MON810) on the performance of lactating dairy cows: A long-term study over 25 months was conducted to evaluate the effects of genetically modified corn on performance of lactating dairy cows. 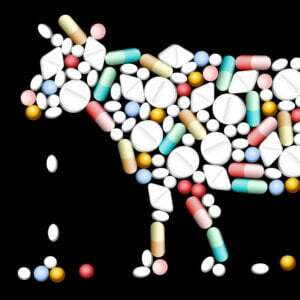 Thirty-six dairy cows were assigned to two feeding groups and fed with diets based on whole-crop silage, kernels and whole-crop cobs from Bt-corn (Bt-MON810) or its isogenic not genetically modified counterpart (CON) as main components. … Milk yield (23.8 and 29.0 kg/cow per day in the first and the second lactation of the trial) was not affected by dietary treatment. There were no consistent effects of feeding MON810 or its isogenic CON on milk composition or body condition. Thus, the present long-term study demonstrated the compositional and nutritional equivalence of Bt-MON810 and its isogenic CON. Organic and Genetically Modified Soybean Diets: Consequences in Growth and in Hematological Indicators of Aged Rats: There was an organic soy group (OG), a genetically modified soy group (GG), and a control group (CG). 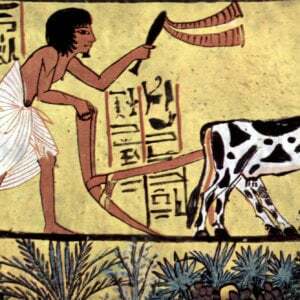 All animals received water and diet ad libitum for 455 days. At the end of this period, the weight of the GG group was the same as that of the OG, and both were higher than CG. Protein intake was similar for the OG and GG, which were significantly lower (p<0.0005) than the CG. The growth rate (GR) of the rats, albumin levels, and total levels of serum protein were comparable for all groups. Hematocrit (p<0.04) and hemoglobin (p<0.03) for the OG and GG were less than the CG. Although the OG and GG demonstrated reduced hematocrit and hemoglobin, both types of soy were utilized in a way similar to casein. This result suggests that the protein quality of soy is parallel to the standard protein casein in terms of growth promotion but not hematological indicators. Histochemical and morpho-metrical study of mouse intestine epithelium after a long term diet containing genetically modified soybean: In this study, we investigated the duodenum and colon of mice fed on genetically modified (GM) soybean during their whole life span (1–24 months) by focusing our attention on the histological and ultrastructural characteristics of the epithelium, the histochemical pattern of goblet cell mucins, and the growth profile of the coliform population. Our results demonstrate that controls and GM-soybean fed mice are similarly affected by ageing. Moreover, the GM soybean-containing diet does not induce structural alterations in duodenal and colonic epithelium or in coliform population, even after a long term intake. On the other hand, the histochemical approach revealed significant diet-related changes in mucin amounts in the duodenum. In particular, the percentage of villous area occupied by acidic and sulpho-mucin granules decreased from controls to GM-fed animals, whereas neutral mucins did not change. Related article: When it comes to food, pesticides and drugs, does 'natural' mean safer or healthier? What do the world’s top regulators require? In 2013, the European Union required a 90 day rodent feeding study for every GE transformation that’s introduced in feed or food. However, the European Food Safety Authority (EFSA), which provides independent scientific advice to inform food safety in the EU, has stated that this kind of testing is needed only when a specific hypothesis needs to be tested, such as a change in molecular, metabolic pathway or phenotypic characteristic. The United States, New Zealand, and Australia do not require these feeding studies. Recently, the EFSA clarified the data requirements for assessing the risks of GM plants in the EU. In that clarification, the agency stated that it does not require animal studies — of any length. Instead, the agency re-emphasized that it was interested in comparisons between GM and the equivalent conventional plant, including data on observable appearances, yield, and pesticide tolerance. Only if those comparisons indicate a possible hazard should more detailed studies to better understand the nature of the hazard and risk be required (i.e., a hypothesis-driven approach). The Codex Alimentarius, which documents the rules for food safety established by the UN’s Food and Agriculture Organization (FAO), also calls for specific hazard assessment (i.e., identification of any chemical or allergen that may be present in the GM variety) but not for long-term, feeding studies. The regulation of genetically modified food and feed is an exception in the consumer products world (outside of prescription drugs and pesticides, which are necessarily regulated quite differently). They are the only food (and one of the few consumer products) that is evaluated for risk before entering into the market. Conventional foods, including organic and those having undergone radiation or hybridization to produce certain traits, do not undergo this same testing in most places in the world (Canada being a notable exception). Even for cosmetics in the United States, the U.S. FDA does not require animal tests unless searching for a suspected or known hazard. The FDA does issue guidelines on the use of rodent and non-rodent species (dogs) in toxicity studies, including studies that last more than a year, but these studies are hypothesis-driven evaluations of specific hazards. In the United States, government agencies have even urged testing for consumer products to be conducted in vitro, and to avoid the use of laboratory animals when possible. Just last month, the EU announced the results of a GMO Risk Assessment and Communication of Evidence (GRACE) 90-day feeding study of MON810 corn on rats. They also studied the rats for a year. The 90-day study didn’t produce anything that would have justified a longer-term study and the results of the one-year study corroborated the validity of that conclusion. Data collected by GRACE showed that non-targeted feeding studies could lead to randomly generated significant differences between animals fed with the GM test material and animals fed with a controlled diet. Such results are not informative for risk assessment. With a re-evaluation of the safety and regulation of GM food about to begin in Europe, and the introduction of newer, “second generation” GM crops, food and feed starting to enter the regulatory and market pipeline, putting “long-term” into proper perspective has (almost) never been so important. We now have 17 years of data on existing food, with no documented adverse effects.